The institution of Khalsa Panth, which leads human society towards that ideal, is not exclusive but inclusive. Each morning, we seem to be waking up to a less certain shrinking global village with fast communications and many fingers on the nuclear trigger. It has become almost impossible to keep up with state of the art technology, social changes, fashions and fads. Periodically, we escape to remote places for some fresh air, peace and reflection. Yet, the Sikh way of life teaches us to remain engaged in social activism and to live a full participative life. These are my thoughts from a hilltop location in South Australia as I reflect on the ideal Khalsa living gifted to us by Guru Jote-Jugat continuum from Guru Nanak Sahib to Guru Gobind Singh and now enshrined in Sri Guru Granth Sahib. The Khalsa Vaisakhi day on 14 April 2017 has a very special significance for the Sikhs this year as they celebrate the 350th Parkaash (birth) Day of Tenth Master, Guru Gobind Singh ji. On the Vaisakhi Day in 1699, Guru ji revealed the Order of the Khalsa (pragtio Khalsa). That epic event was the climax of all that had gone before and the inspiration of all that was to follow. Two hundred years after Guru Nanak (1469-1539) laid down the founding precepts for the New Age ideology and institutions, Guru Gobind Singh ji completed that mission on that Vaisakhi Khalsa Day in 1699. At Anandpur in Panjab, Guru Gobind Singh presented the final form of a trans-caste egalitarian order. The Guru looked on with satisfaction at the first five Sikhs who had risen above the fear of death, and who were prepared to tread the path of truthful conduct. They had offered their heads to the Guru and the Guru had given them a new identity and way of life, and embraced them as the Five Beloved Ones (Panj Piaray). They had qualified for admission to the fully evolved order of the Khalsa Panth. They were ready to accept the spiritual and worldly discipline of Sikhism as responsible householders and social activists. Today, the Panj Piaray (the Five Beloved Ones) represent the ideal of service and sacrifice towards which every Sikh, the seeker after truth, aspires. Thus, having completed Guru Nanak’s mission, Guru Gobind Singh, returned the Guruship from human succession back to the Guru’s Word i.e. Gurbani embodied in Guru Granth Sahib (the Sikh Holy Scripture). The collective body of the Khalsa Panth or the Sikh Holy Congregation (sangat) in the presence of Guru Granth Sahib, represented the physical form of the Guru, as Guru Khalsa Panth. 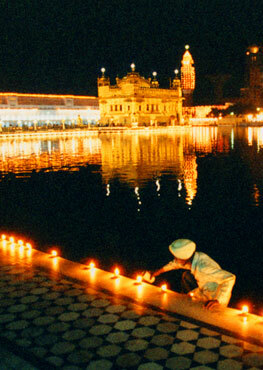 The joint Guruship of Guru Granth and Guru Panth is a unique feature of Sikh tradition. 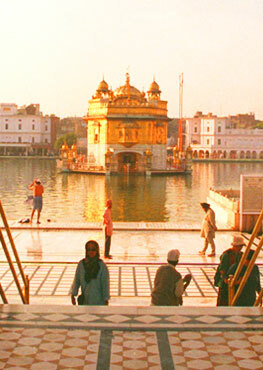 It means that collectively, the Sikhs are empowered by the Guru to interpret the Guru’s Word in Guru Granth Sahib. The Guru has given us the constitution, Guru Granth Sahib, and the egalitarian and democratic institutions to work together towards an ideal and just society, united in its diversity. The institution of Khalsa Panth, which leads human society towards that ideal, is not exclusive but inclusive as symbolised by the Gurdwara which has open doors for all, regardless of caste or creed. By giving us the physical and spiritual discipline, and the purpose of human life, Khalsa living gives us the stability and courage to be able to face the challenges of an uncertain world. It is in that true positive Khalsa spirit, chardhi kalaa, that we should celebrate the Khalsa Vaisakhi Day on 14 April 2017.